1997 has seen the removal of the last remaining qualifications for a fully liberalised EC air transport market, and increasing signs that liberalisation is stimulating structural changes and producing significant benefits for passengers. It has also seen the focus of regulatory attention moving from liberalisation to safety matters, with initiatives in the field of foreign safety oversight, the reformation of Eurocontrol and the creation of a single European aviation safety authority. Also in high profile during 1997 have been EC/US issues – in connection with transatlantic airline alliances (particularly British Airways/American Airlines) and the Commission's reaction to the Boeing/McDonnell Douglas merger. 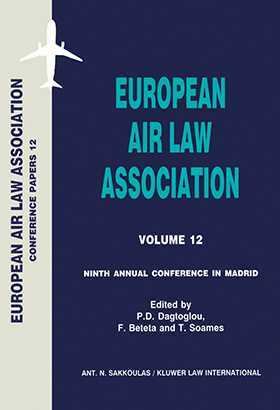 These various developments provided the principle topics for discussion at the Association's annual conference for 1997 in Madrid.